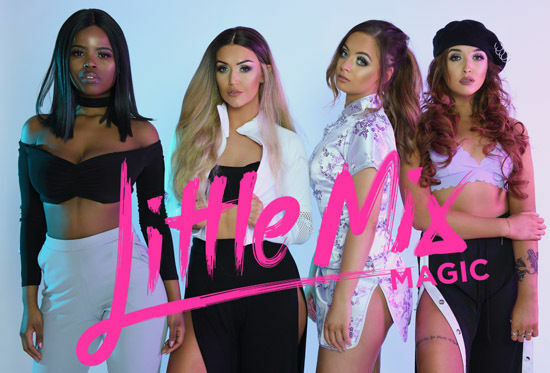 Have you heard about the UK’s hottest tribute to Little Mix? Well meet Little Mix Magic, an all-singing, all-dancing group of four gorgeous girls set to wow you with their unbeatable show! Little Mix were the winners of the X Factor in 2011. Little Mix Magic is made up of Nicola, Megan, Lauren and Mo, four girls who are massive fans of the real band and are determined to put on the best tribute to them possible. These girls can sing and dance and perform the band’s biggest hits including Wings, Black Magic and the much loved Shout Out To My Ex. To book a box, wheelchair position, or for an access assisted performance (captioned, audio described, signed) where applicable, please contact the box office on 01274 432000.